If you’re a fan of Gazing Skyward TV and you wish to support our work, please consider using our affiliate links or become a Patron on Patreon. 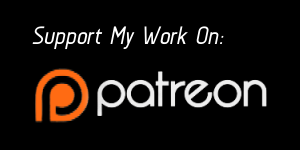 There is also the option of becoming a Patron over on Patreon. In return, you will receive some perks in return, depending on the pledge amount. We are also considering adding some additional affiliate links to make it easier for you to support Gazing Skyward TV. Please (contact us) if your favorite online retailer isn’t on the list of affiliate links.